Our comprehensive dental care practice - located in Beltsville, MD for over 40 years - concentrates on family and cosmetic dentistry. Our dental team members are extremely experienced and knowledgeable about dental health and all dental procedures such as Cerec porcelain crowns & onlays in one visit, porcelain veneers, dental implants, teeth whitening, and permanent crowns and bridges. We are happy to answer any questions that you may have at any time. 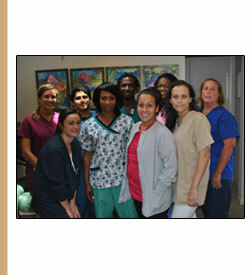 We always work hard to ensure that you feel comfortable and well cared for during your visit with us. Our state of the art facility features all of the latest technology such as digital x-rays & Cerec CAD/CAM porcelain restoration and intraoral photography. Whether you are in for a visit or accompanying someone, we hope you will appreciate all the extra amenities we have placed in our office to ensure your comfort. We strive to provide you with the best dental care in the area. Through an ongoing relationship with you and your family, we will do the very best within our means to ensure a lifetime of healthy smiles for you and yours.